Jerusalem Artichokes (also called sunchokes) are another plant with a weird, fun name. I brought some to work to try to give them away, and because I work at a library, this prompted a whole conversation about the origin of their name. So there you have it. More convoluted, and only slightly less charming, than the story behind Good King Henry. I have dug some up to give away every year, and this patch has still doubled in size in three growing seasons. I bought my original seed sunchokes from Hope Seeds – variety Skorospelka – in the spring of 2013, I think. They’re sold out of all varieties right now, but if you’re in the Edmonton area, leave a comment on this post and I’d be happy to share some with you (I’m serious. I have so many); or wait until next spring. 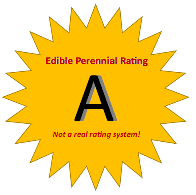 Time to give out an arbitrary rating! 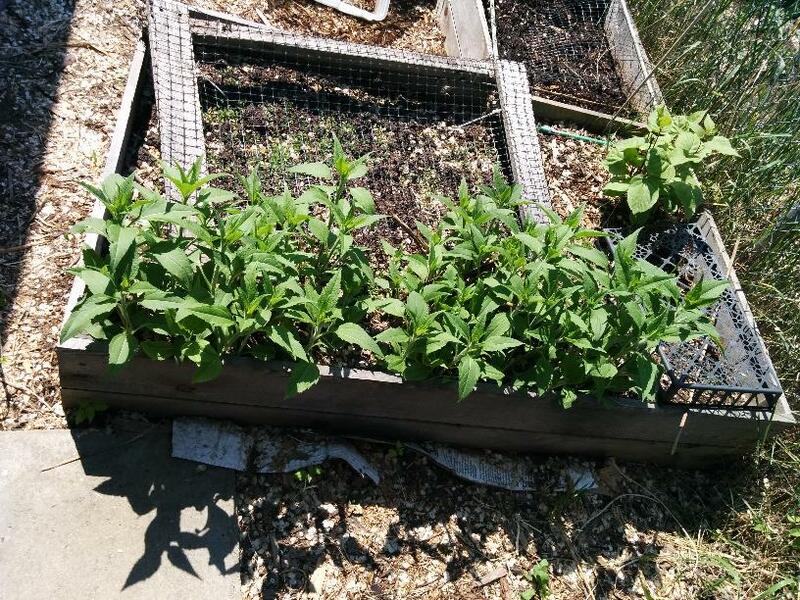 Jerusalem artichokes have been very hardy in my garden, even in this raised bed. They spread in a manageable way, and create enough new plants to share. Some people find them a bit too spread-y, but I haven’t found that so far. It’s fun to eat vegetables that you dig up from the ground, and that’s a fact. They make you fart. Which is fun. They grow quite tall and straight, like sunflowers, so they would be good as a privacy hedge.